Several natural living and homeopathic beauty sites tout the benefits of apple cider vinegar to renew the appearance of skin and hair. Some people from a medical background recommend it. "I have personally incorporated apple cider vinegar into my daily diet and skincare routine and have seen firsthand the benefits of doing so," says Rebecca Lee, a registered nurse and founder of the natural health website, RemediesForMe.com. But there is no definitive study on how well apple cider vinegar performs at skin and hair cleansing tasks. Cosmetic chemist Randy Schueller is sceptical. "[T]he benefits of ACV on hair or skin are largely exaggerated," he says. "Vinegar has a low pH which is non-damaging but other than helping to remove mineral buildup, vinegar doesn't really provide any benefit." And the idea it makes hair shinier, he says, "is just a myth." Vinegar has been used as a disinfectant since the time of Hippocrates, Greek granddaddy of medicine, who prescribed it for ulcerations and sores. The stuff really does kill bacteria, which is why it's a great choice for washing lettuce. But it's been a long time since vinegar was your best germ-killing option for most purposes. For example, in one study, chemical disinfectants like Clorox handily outperformed vinegar in reducing pathogens. Medical professionals generally agree that modern chemicals are better at cleaning wounds and fighting infection. If you're a mouse, good news: Experiments have shown that vinegar helps mice burn fat and suppresses their appetite (by, uh, making them nauseous). There is one solid, large study of vinegar's effects on humans, published in 2009 by Japanese researchers. Subjects considered "obese" by Japanese standards (not the less stringent standards of the country that invented the Denny's Grand Slam) were divided into three groups and given a drink containing one tablespoon of vinegar, two tablespoons of vinegar, or a placebo. All of the vinegar sippers lost more weight than the placebo drinkers. How much weight? A mere one to two kilograms over 12 weeks. So, even if it helps, we're not looking at the secret to major weight loss. Adding vinegar to a meal has also been shown to lower a person's glycemic response to that meal, making it a useful tool in managing diabetes. You can take advantage by using a vinegar-based salad dressing or adding an acetic element, like vinegar or a pickled vegetable, to Japanese-style rice. Vinegar has also been shown to limit the post-meal blood-sugar reaction in people with type-2 diabetes. "Everyone has an explanation on how this works," says David Greuner, MD, of NYC Surgical Associates. The exact mechanism is not precisely known, but acetic properties and antioxidants, both of which apple cider vinegar provides, are known to absorb or balance out the effects of sugar, he says. So some science backs the apple cider vinegar folklore, but there's no reason to be as excited about it as Dr Axe. Also, vinegar is not without its downsides, doctors warn. Its acidic qualities can damage teeth, hurt throats, upsets stomachs and lower potassium levels. And it tastes like, well, vinegar. 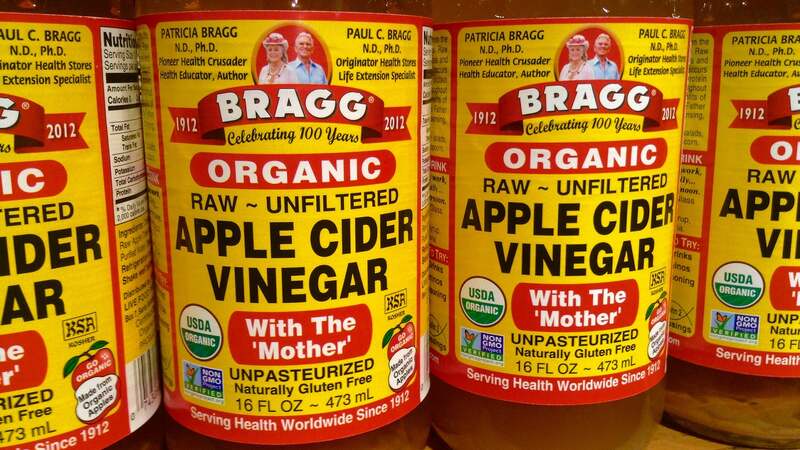 Apple cider vinegar was a fad few years ago, if it did anything it wouldn't have gone away.